Car AC Repair Murrieta – Not blowing cold air? Is your car AC (air conditioning) not blowing cold air? Hey, summer is almost here and it gets hot in Murrieta, CA. You want cold air and a good stereo blasting so you can enjoy your ride! As a matter of fact I once let my air conditioner get so low on Freon that the mechanic told me if I had fixed it sooner I wouldn’t have had to have it replaced! So please, go get your car AC checked out by a shop like California Car Care in Murrieta, CA! Call us at (951) 600-0600 to schedule your automobile’s AC appointment at our shop in Murrieta. 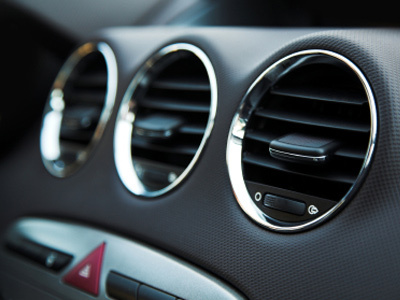 Does your car AC air flow seem low? Most of the time weak air flow is due to a clogged cabin air filter. Sometimes, if the car AC system is not blowing cold enough because of a low AC charge, this can seem like weak air flow. Best solution: check your cabin air filter & if it’s good, have your car’s AC charge checked by a technician. Call us at (951) 600-0600 to schedule your car AC repair Murrieta. Is your dash light indicator on? Typically, there is no indicator on your dash for car AC trouble. In some cases, a manufacturer uses an indicator on the car’s AC control head, but most of the time, there is no dash indicator. Is your AC blowing cold? 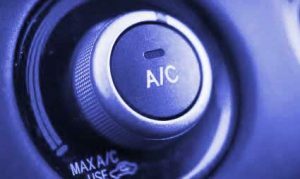 If your car AC is not as cold as usual, there typically is a problem. Most problems have to do with AC Freon loss from some sort of leak in the system. The solution would be a free inspection and check-up. Call us at (951) 600-0600 to schedule your car AC appointment. Your car AC starts out cold but then doesn’t stay cold. This problem is sometimes related to a more involved repair. Sometimes, the A/C compressor is overheating and shutting down. There are many other reasons this can happen, come see us for a free inspection. Does your auto’s AC emit a strange odor? When it comes to a car AC is there really something called black death? Yes indeed. Black death is a worse case scenario which refers to burnt refrigerant oil in the car AC system due to an AC compressor failing and clogging the refrigerant oil flow in the AC system. The best thing to do is have an inspection, cost is approx $49. Call us at (951) 600-0600 to schedule your car AC appointment. Is there a way to test for AC leaks? Yes there is a few ways to test for car AC leaks. One is to use soapy water and air pressure and another is to charge the system with AC dye and look with a UV light to find the leaks. To do the soapy water test, we do not charge. To do the AC dye test, its approx $89. What could be the cause of my AC leaks? The most common leak we find in an A/C system has something to do with rubber O-rings or rubber hoses leaking. Another cause is from a rock hitting the A/C condenser that’s located behind the car’s front grill. There are other ways AC systems can leak Freon. We can test for Freon leaks using soapy water and air. You may need car AC repair Murrieta! How much does it cost to fix my car AC in Murrieta? AC repairs range from $69 to as much as $1500. The average AC repair is approximately $175. It really depends on the problem at hand and the type of vehicle. Call us at (951) 600-0600 to schedule your car AC appointment.